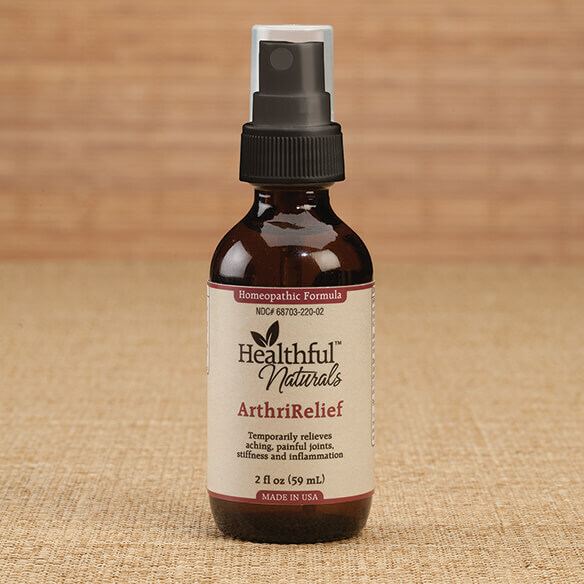 Find relief from stiff and painful joints with Healthful™ Naturals ArthriRelief. This topical homeopathic arthritis remedy helps ease troublesome joint pain and encourage easier movement. Painful stiff joints can reduce mobility, impacting the ability to stay active and preventing a restful night's sleep. 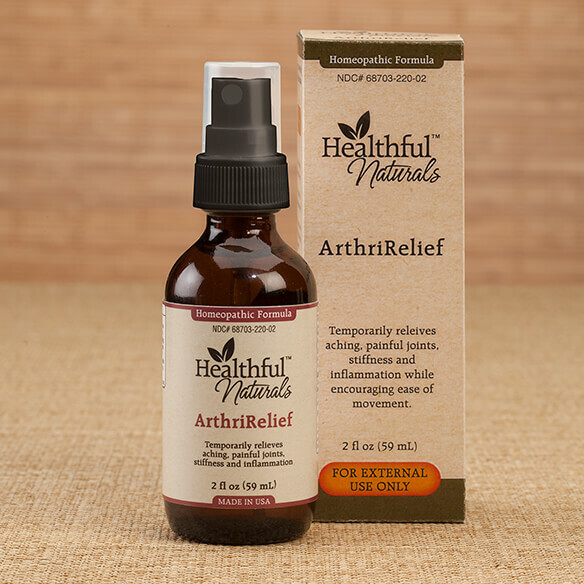 ArthriRelief is a safe, effective homeopathic solution to relieve pain and allow a return to a healthy, active lifestyle. 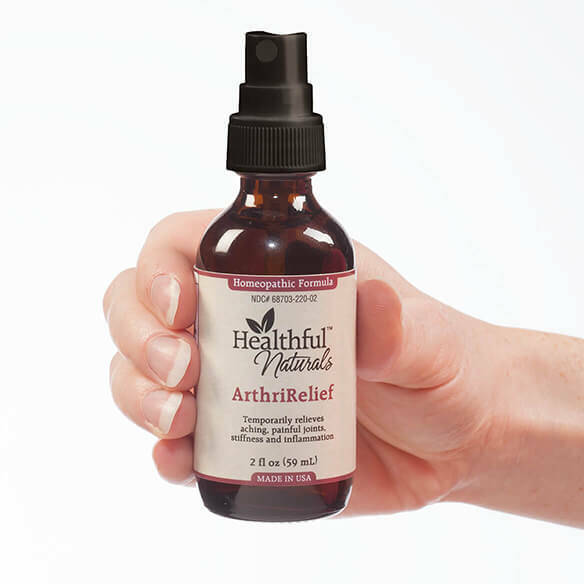 The selected ingredients work together to sooth aching joints and reduce inflammation. This arthritis treatment may be used together with other prescription and over-the-counter products without risk of negative interactions. Easy spray-on treatment for quick relief. Suitable for all ages. To use, spray lightly onto the affected area. If desired, the spray may be applied and then gently massaged around the joint for an even more soothing effect. Repeat as often as you need to. Not recommended for use during pregnancy. The homeopathic ingredients are combined with soothing essential oils of ginger, celery and coriander in a base of nourishing grapeseed oil. Contains 100% homeopathic ingredients: Arnica montana (3x), Dulcamara (6C) and Bryonia (6C).